Roof rats, sometimes called black rats, are slightly smaller than Norway rats. Unlike Norway rats, their tails are longer than their heads and bodies combined. Roof rats are agile climbers and usually live and nest above ground in shrubs, trees, and dense vegetation such as ivy. In buildings, they are most often found in enclosed or elevated spaces such as attics, walls, false ceilings and cabinets. The roof rat has a more limited geographical range than the Norway rat, preferring ocean-influenced, warmer climates. In areas where the roof rat occurs, the Norway rat might also be present. • Do you find rat droppings around dog or cat dishes or pet food storage containers? • Do you hear noises coming from the attic just after dusk? • Have you found remnants of rat nests when dismantling your firewood stack? • Does your dog or cat bring home dead rat carcasses? • Is there evidence rodents are feeding on fruit/nuts that are in or falling from the trees in your yard? • Do you see burrows among plants or damaged vegetables when working in the garden? • Do you see rats traveling along utility lines or on the tops of fences at dusk or soon after? • Have you found rat nests behind boxes or in drawers in the garage? • Are there smudge marks caused by the rats rubbing their fur against beams, rafters, pipes, and walls? • Do you see burrows beneath your compost pile or beneath the garbage can? • Are there rat or mouse droppings in your recycle bins? • Have you ever had to remove a drowned rat from your swimming pool or hot tub? • Do you see evidence of something digging under your garden tool shed or doghouse? Among the diseases rats can transmit to humans or livestock are murine typhus, leptospirosis, salmonellosis (food poisoning), and ratbite fever. Plague is a disease that both roof and Norway rats can carry, but in California it is more commonly associated with ground squirrels, chipmunks, and native wood-rats. Treatments for rats can be a tricky process since these are very wary creatures. 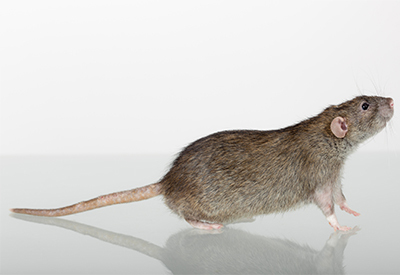 Arrest-A-Pest, Inc. has been solving this type of rodent problem since 1986. A rat infestation can grow into huge problem over a relatively short period of time. For the solution to your problem, Contact Arrest-A-Pest at info@arrestapest.com or call us at 1-800-338-PEST.